Remove unwanted hair and enjoy long term hair removal with the help of the Beurer IPL 9000+ Salon Pro Hair Removal System. 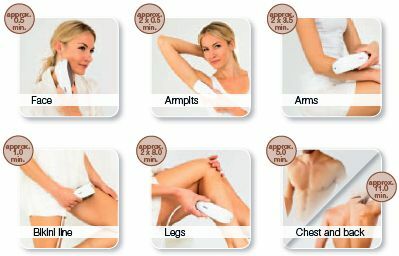 Noticeably reducing the rate of growth of your hair in just a few treatments, the Beurer IPL series for hair removal is ideal for those who want to get rid of unwanted hair quickly and effortlessly. Do not use the beurer SalonPro System on naturally dark skin! The ideal body areas on which to use the Beurer SalonPro System are the legs, under arm, bikini zone, chest, stomach and face below the cheekbones. The device is suitable for both men and women. 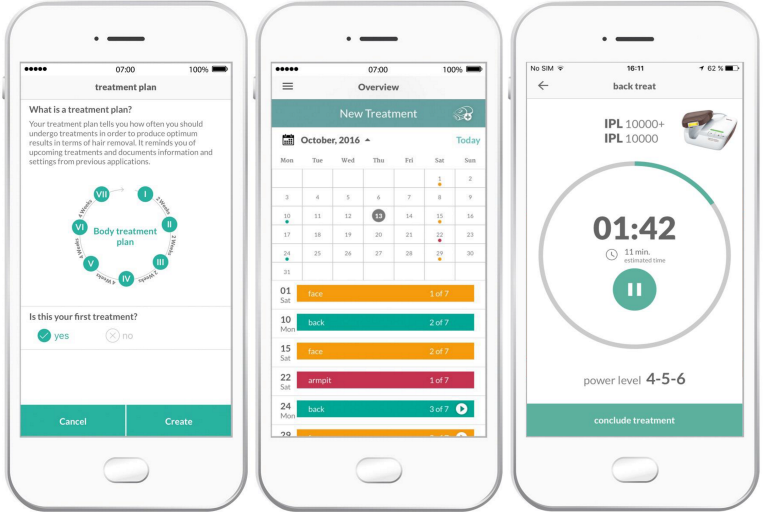 Depending on the area of the body, treatment takes between 30 seconds and 11 minutes. You can complete a full body treatment in approximately 26 minutes. 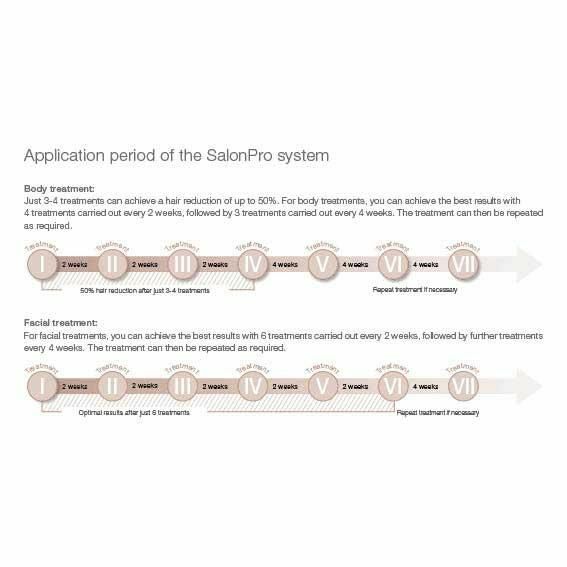 Application period – how often must I use the SalonPro System? Regular application of the SalonPro System achieves the best results. If you are aiming at complete and permanent hair removal, you can reduce your body hair by 50% after completing 3-4 treatments carried out every two weeks, followed by 3 treatments carried out every 4 weeks. Then apply as required. For facial treatments, you can achieve the best results with 6 treatments carried out every 2 weeks, followed by further treatments every 4 weeks (zoom into the adjacent figure for a more detailed treatment plan). Thanks to the Beurer IPL 9000+ Salon Pro Hair Remover’s XXL 7cm2 light surface, you can quickly finish your hair removal treatment. As a compact device, the Beurer Hair Remover only takes approximately 26 minutes to treat the entire body. 5. Flip the power switch on the back of the base unit. The indicator lamp and the energy indicator lamp are illuminated and the noise of a fan (similar to the noise a hair dryer makes) can be heard. accordance with the selected energy level. 9. Press the trigger button. You will see a bright flash, hear a cracking noise and may feel a slight burning sensation and/or warmth. The beurer SalonPro System features a "flash-glide" function. When you press and hold the trigger button, a bright flash is automatically triggered every three seconds, meaning that you do not have to press the trigger button every time. 10. Remove the applicator from the skin and place it on the next part of the treatment area. When repositioning the applicator, make sure not to leave any gaps or overlap the treated skin. 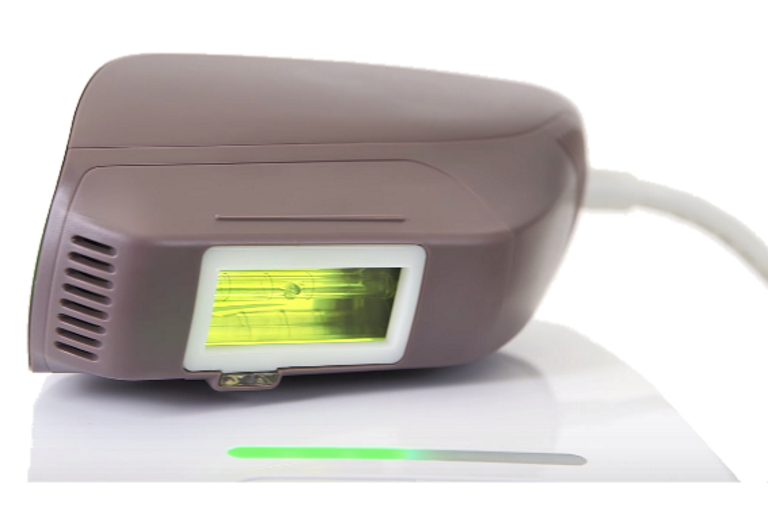 The device recharges itself immediately and is ready for the next pulse within three seconds (the indicator lamp on the applicator continuously illuminates green once again). Repeat the process until the entire area of skin has been treated. In the case of treatment of hair on the face below the cheekbones, the first six sessions should be performed two weeks apart. The seventh to twelfth sessions can be performed four weeks apart. Any further sessions should be performed if the hair has grown back until the desired results have been achieved. The beurer SalonPro System works best on dark hair types and on hair with a high melanin content. Melanin is the pigment that gives hair and skin its colour and absorbs light energy. Black and dark brown hair shows the best response. Brown and light brown hair also responds to treatment, but it usually requires more hair removal sessions. A limited effect can be seen on red hair. 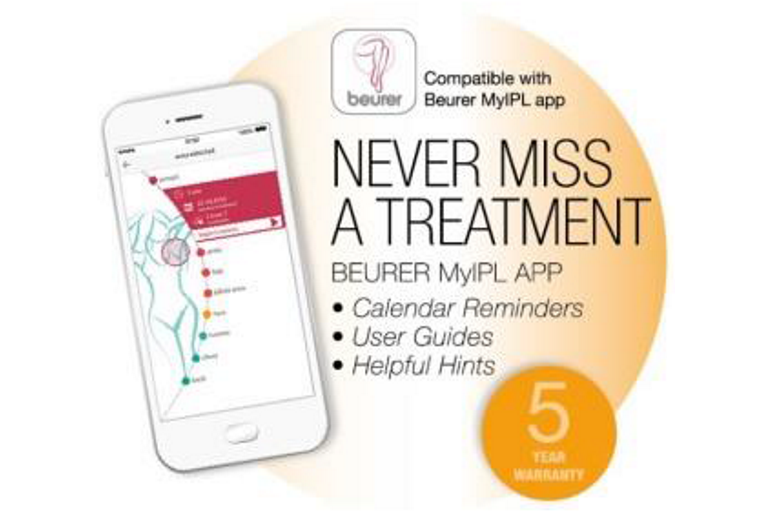 White, grey or blond hair does not usually respond to the beurer SalonPro System, although several users have noticed results after multiple hair removal sessions. 8. Can I use the beurer SalonPro System on brown or black skin? Do not use the beurer SalonPro System on naturally dark skin! It does not work! The beurer SalonPro System is a light-based device that removes undesired hair by means of the selective treatment of the hair pigment. A different amount of pigment is present in the surrounding skin tissue. 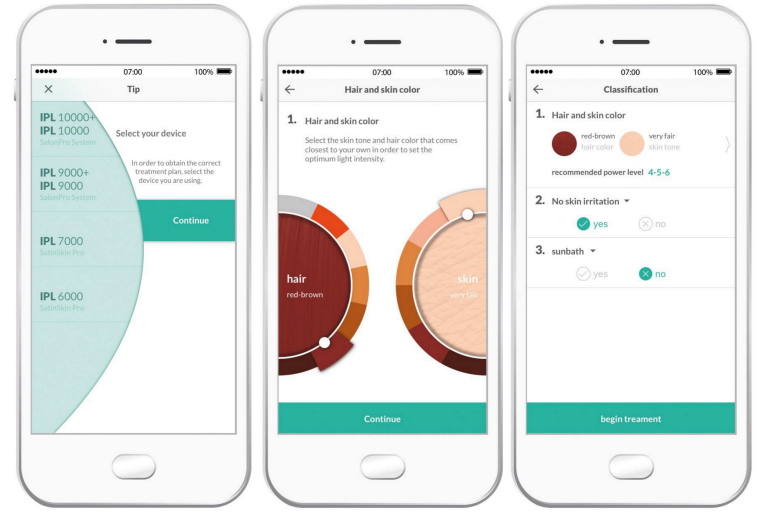 The amount of pigment in the skin of any given person – which can be seen by the colour of the skin – determines the degree of risk that the person is exposed to when using the beurer SalonPro System. Treating dark skin with a light-based hair removal procedure can have adverse consequences, such as burns, blisters or discolouration of the skin (hyper- or hypopigmentation). The beurer SalonPro System features an integrated skin colour sensor, which measures the colour of the treated skin at the beginning of every treatment session and occasionally during the session itself. The skin colour sensor prevents the beurer SalonPro System from issuing further pulses if it detects that the device is being used on darker skin tones. 9. When will I see the results of the beurer SalonPro System? 10. Can men use the beurer SalonPro System? Although the beurer SalonPro System was developed for women, the device is also suitable for use by men. However, men's hair – typically on the chest – will require more hair removal sessions than women do to achieve the desired result.